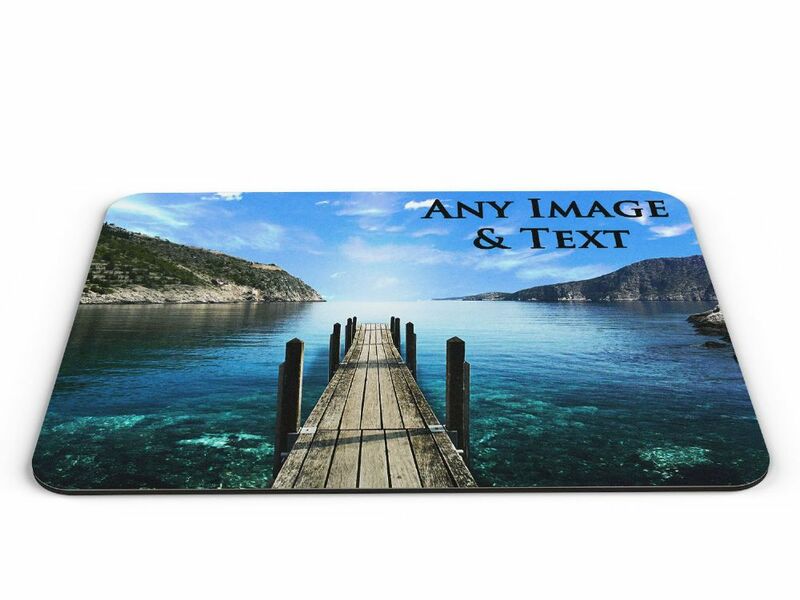 Mousemat with a white fabric polyester top layer and black rubber backing fully customised entirely with your own design or logo. Please bear in mind the shape of the Item when choosing a image (Areas of the photo may get cut off). Your image may be cropped to produce the best result. Approx. Measurements: 22cm x 18cm.